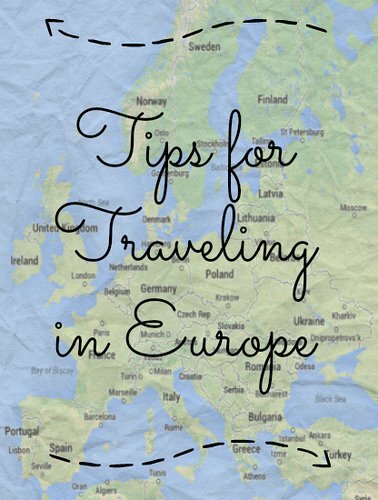 While planning my trip to Europe I read a countless number of websites for tips and advice. I enjoy planning the logistics of a trip almost as much as the trip itself so I greatly enjoy this kind of thing. Since getting back from my trip I’ve had a lot of people ask me if I have any advice and/or things that I’d do differently and I thought I’d compile a list. It’ll probably benefit me when I plan my next trip more than it will benefit anyone else… but here it is. There are a lot of common travel tips that you can find online but these are some less obvious ones as well as the ones that really stuck out to me. 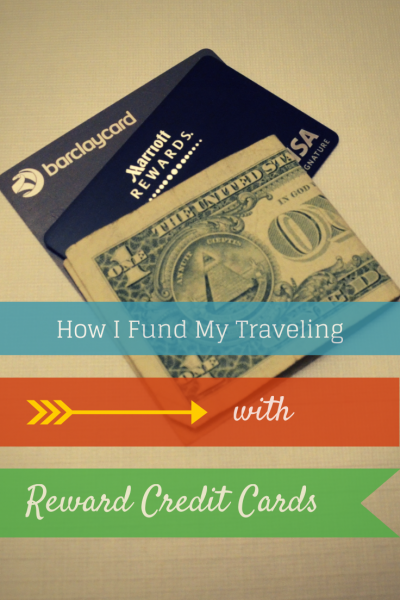 + Have a chip & pin credit card – I wish I had paid more attention to these prior to my trip. All of the card readers in the UK are the type where you hold your credit card’s chip up to the reader instead of swiping your magnetic strip through it. You can still swipe but it’s apparently an uncommon thing considering how many cashiers were surprised when I wanted to. I also wasn’t able to rent a bike in Dublin because the self-serve kiosk only worked with cards that have a chip in them. + Make sure your credit card has a 0% foreign transaction fee – Even though my credit card wasn’t a chip & pin card it did serve me well and I used it whenever I was paying for larger amounts (like hostels or transportation) so that I didn’t have to keep large amounts of currency on me at all times. + Get a Schwab debit card – I did my research before leaving on my trip and thought that I’d be able to find ATMs that were partnered with my bank (which is Bank of America) and thus avoid the ATM fees. It turned out to be more difficult than I thought to locate the correct ATMs when I wanted them. Schwab has a debit card that waives all ATM fees worldwide and I wish that I’d had one while on my trip. I already had a brokerage account with them so it was a piece of cake to add the debit card. This will be my debit card for all future travels. + Plan all of your lodging in advance – This might not be as big of a deal for some people but for me I only wanted to stay in all female rooms at hostels and those weren’t always available last minute. I don’t regret booking any of them in advance and it was one less thing to worry about during the trip. Some people would say that not having reservations creates more flexibility but I’d rather not spend my travel time trying to book a hostel. + Airbnb can be cheaper than hostels – If you’re traveling with friends it can often be cheaper to rent an apartment than it is to pay for everyone to stay in a hostel (let alone a hotel). It’s something I really regret not looking into sooner. 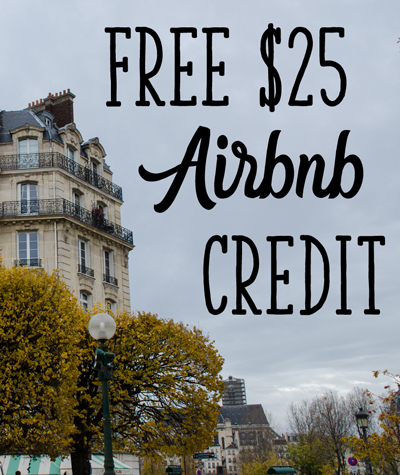 Be sure to sign up with a referral code to save $25 off your first stay (you can use mine if you need one). Other than bringing your passport and money, the most important thing you can bring with you is your smartphone. If you don’t have one, borrow a tablet or an old smartphone from someone. I never bothered with getting a data plan while I was there and instead I just used wifi the entire time and it worked out well. + Starbucks is the gold standard of free wifi – Most places, even fast food joints, will have wifi. However, a lot of them require sending a code via text message in order to use their wifi. Since I didn’t have a data plan and thus didn’t have a local phone number I could never use the wifi at those places. Most mom & pop shops will have open wifi and every Starbucks I went to (or stood nearby) had wifi that was easy to get onto. + Text US numbers using Google Voice – It’s free to get a Google Voice phone number and you can turn on texting for that number for free as well. Having this meant that I was able to text people at home whenever I had a wifi connection. I did this from both my computer and my phone. Even with a data plan I’d still text using this method to save myself from texting from an international number. + TripIt – I love this app. It takes all of your reservations (flights, hotels, tours) and organizes them into chronological order in a really easy to view fashion. I don’t use TripIt for shorter trips but my trip to Europe involved numerous different flights and hotel bookings so having those reference numbers handy on my phone was great. I used the website as I planned the trip and then the app on my phone to view the info during the trip. The app downloads everything so you’ll have access to your confirmation numbers offline and it brings up the one you’re most likely to need presently when you open the app. + Spotify – This isn’t really travel advice but I’ll throw it in there. I use Spotify on a daily basis and pay the $10 a month to have Premium. This allows me to download music to my phone so I loaded up my phone with music before the trip and used it the entire time without ever needing an internet connection. Plus I could create new playlists on the go to fit my mood. + Currency converter app – If you don’t enjoy doing math in your head, having one of these apps already downloaded to your phone can be handy. + Use Google Maps offline feature – Using the Google Maps app on your phone you can download chunks of maps to your phone so that they work in offline mode. You won’t be able to search for places on the map without an internet connection but you can zoom around on the map and use the GPS on your phone to pinpoint where you are if you get confused. I always downloaded enough of each city to cover the areas that I planned to go to. + Have step-by-step directions for travel days – I had a note in Evernote the had my own step-by-step directions from each airport/train station/whatever to the hostel that I was staying at. I did this for my own piece of mind but I was grateful that I always had an easy plan of attack upon arriving at a new place. When you have all of your luggage with you is not when you want to be confused about which bus to get on. I also printed a hard copy just in case something happened to my phone and I kept that copy in the outside pocket of my backpack. Use the advice on the hostel’s actual website in addition to Google Maps to help make the best step-by-step directions. + Use packing cubes – I used these for the first time on this trip and I’m in love with them. I know they probably sound over the top to most people but I will never go on another long trip without them. They’re particularly useful for trips where you move from place to place a lot. I have the eBags ones and I like using multiple of the small size instead of using the medium or large ones, but that’s just me. + Bring a toiletry bag with a hook – Most hostels don’t have a lot of space to set your stuff down so being able to hang your bag onto something is handy and keeps your bag from ending up on the (potentially wet) floor. + Update: Since writing this post I’ve learned some more things about what to pack for Europe. Check out 8 Essential Things When Packing for Europe for more packing advice. + Keep a daily log of what you did that day – I quickly found everything blurring together in my mind so at the end of each day I’d create a note in Evernote and jot down a quick list of what I did that day. 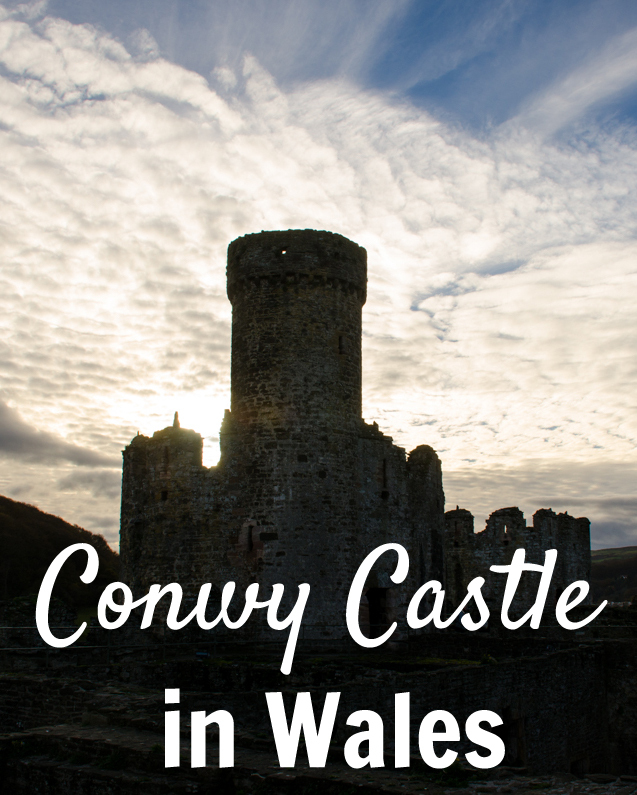 It’s fun to look back on and helpful for scrapbooking/blogging after the trip. I’d love to hear about everyone’s travel plans! Is anyone going to Europe soon? If London is part of your travel plans you might also enjoy this Roundup of London Posts From Across the Web. I just read your great tips..
hope I can have travelling to Europe as soon as I can.. This is such a wonderful list. Thank you so much for sharing. I haven’t travelled abroad yet, but it is one of my life goals. Especially now that I am married, I want to travel Europe with my husband. Pinning for future use, and I encourage you to add this link to Come Along Wednesdays link party on my blog right now. http://nobleandpond.blogspot.com Thanks again for sharing! Megan, thanks for commenting! Going to Europe is bar far one of my favorite travel memories, and I look forward to sharing the experience again with a husband someday so I highly encourage you to go! And I joined your link party, thanks for the invite! Great tips, especially about the credit cards. We’re heading to Europe later this spring and will definitely use these. Thanks! Visiting from Noble and Pond! This is an excellent list! You thought of a lot of things that I wouldn’t have. I am pinning for when I (hopefully) get to travel Europe! I’m here from Come Along Wednesdays. i would love to travel to Europe. You posted some great advice for those people who are going though. Delights in this article. I am just incredibly happy to visit your write-up. Many thanks a lot that i’m anticipating get hold of a person. Can you generously drop me a e-mail? Great tips! I live in Italy and a chip and PIN card has definitely become more essential over the years. More and more places only accept this type of card. Another tip is to always have cash because a surprising number of places do not accept cards at all. Jennifer, great point about the cash. There are definitely places that only accept cash so it’s always good to have some on hand. And Italy is at the top of my list of places to see in Europe, so I’m jealous of the fact that you live there! I have traveled a lot and always looking for new tips. You should write a book on travel tips. I have read several books on tips for travel and you have the best I have seen. Truly you should be published. Thank you for great great tips. I leave June 1st next year for Europe, and already stressing about things like hostels and airfare. Great tips! Thanks! That’s so exciting that you’re going next year! And June is an absolutely fantastic time to visit. Where all are you going? Thanks so much for these tips! I will be spending 4 to 5 months in Europe starting February! I am looking for interesting destinations that have quirky hotspots. Are there any specific places that come to mind? Hi Avery! Depending on where you’re going in Europe there are different things to consider. I highly recommend picking up a travel book from the library or searching Pinterest for specific information about the country (or countries!) you’ll be visiting. Each country can be very unique. And traveling to Europe is a ton and fun and fairly easy to do! I hope you have a blast over there next summer! As for the washing machines, it really depends on the hostel. If you’re wanting one with a washing machine just be sure to search only for ones that have them. Most of them do, especially the larger ones. Machines in Europe tend to be smaller and take longer to wash and dry a load so be prepared for that. I have a passport holder with pockets and a zipper on the back that I love using to hold my tickets and such – great advice! I’m leaving to study abroad in Ireland in less than a month, and I plan to travel Europe on the weekends a lot. This was really helpful! Thank you! Hi Chloe! I’m actually studying abroad in Ireland this semester too! Funny that I’m reading a random travel pin on Pinterest and I find someone going to the same country as me! Where are you going? I have a quick tip, if travelling to Switzerland, you can’t use Euros like other parts of Europe, they use Swiss Francs there! Also, the power is a different voltage and a different/separate adaptor is required! Found all this out the hard way on my first stay in Geneva. Great article! I’ve read a few as I hope to go to Europe in the future and you have made some unique and important points. My (and my parents’) concern is safety traveling alone as a woman in a foreign country. Did you ever feel unsafe in your travels or do you have any suggestions of ways to be safe? Thanks! And as far as lodging goes, if you’re going to stay at hostels I highly recommend asking for female only rooms. I always do and it makes me feel a lot safer. I’m not sure if that helps at all but I hope so! This is great! I will be traveling to Europe this summer and visiting 5 countries total; what is the weight limit for luggage? Is it more or less than here in US? Also, do those current converters (or voltage converters, not sure what the name of those gizmos is) really work? Hi Giselle! That’s so exciting that you’re headed to 5 countries! Weight limits on a lot of the airlines that fly within Europe are lower than airlines in the US. You can check the weight limits when you book your tickets or on the airlines’ websites. I’ve never used a voltage converter, just a plug adapter. All of my electronics (phone charger, computer, etc) are dual voltage. You can check the print on the plug and most of them will say something like “110-220” on them if they’re dual voltage. And then the plug adapter just allows your plug to fit into the outlet. Different countries in Europe use different ones, so be sure to check which ones you need or buy an all-in-one adapter. Did you carry a neck wallet or anything like that? Like under your clothes or what not? In the summer I used a small cross body purse that I could pull in front of me whenever I was in crowded areas and I never had any issues. Obviously I’d recommend avoiding putting anything too important in any outside pockets of whatever bag you use. This is a really great article and I enjoyed reading it. I’m traveling to Europe for three weeks this summer. I will be staying mostly in Germany and traveling to The Netherlands and Italy. I am so excited but also nervous. Thinking of taking the train in Germany is already giving me anxiety. Have you used public transportation in Europe? If so, how was it? When I visit Europe I pretty much exclusively use public transit. I’ve only been to the UK countries, Ireland and France though. I’ve had fantastic experiences every time! In the Netherlands public transportation in great. The trains usually come on time. Just avoid the rush hours. Maybe a bit expensive compared fo other countries. I don’t know how is in Germany. I’m going to Europe for three months in the summer. The plan is Greece, Italy, Switzerland, France, Spain, the UK, Ireland, and the Netherlands. I have read so many articles since it is my first time in Europe and yours has been so, so helpful. My favorite by far! Thank you! Great article! I’m traveling to Europe next month and this post had things included I wouldn’t have thought of. What travel insurance company did you use? Any thoughts on that would be helpful. There are so many different plans and different companies. What an awesome post! Thank you! I’ve looked into chip and pin cards- they’re hard to get in the U.S. Some companies offer a “chip and signature” option. Do you think that would be a good equivalent? I am traveling to the UK for the first time this summer. Thanks! They are hard to come by! Like you said, most of the ones in the US are chip & signature sadly. Having one of those is better than not, but honestly anywhere that they would let you use the chip and then sign they would also be able to let you swipe and then sign, so you’re not gaining much. Having the chip & pin is really valuable for being able to use kiosks and stuff like that. I used mine to purchase train tickets and and to rent a bike (both at places without a cashier). I have the Barclaycard Arrival and I love it. Thats some good practical advice, i have another little bit of info that applies to travelling in general. Nokia has made a new map App called Here. It lets you download the maps for entire countries for free. All you need for Here is for your phone to have GPS, have plenty of space for the map and for it to be ON. It does not require an active data connection so will not eat into your roaming. As i understand, Googles offline feature will only let you download one section of the map at a time. Can I also suggest pack an umbrella! and that McDonalds have free wifi and free toilets! I’ve never had much luck with McDonalds wifi. =( They usually require having a mobile number to text a code to and when I’m in Europe I don’t have a local number. Have you found a way around this? I am moving over to the UK/Europe. I lived in Italy about 3 months back in 2012, so thank you for some great info on some items I need for traveling! Thanks Rachel! Sorry for the late reply on my part, this comment got stuck in the spam filter for some reason. All of the ATMs that I used were ones that used swipe cards so I was able to use my regular debit card no problem. I’ve never been to Spain so I’m jealous of your trip. I hope you have a blast! I am planning a trip next June for a month, We will be going to Prague, Munich, Amsterdam, London, Scotland, and Ireland. Any tips for those parts of the world?!! we will be traveling by train mostly from place to place so and train travel tips would be greatly appreciated. Thanks for all the advice. 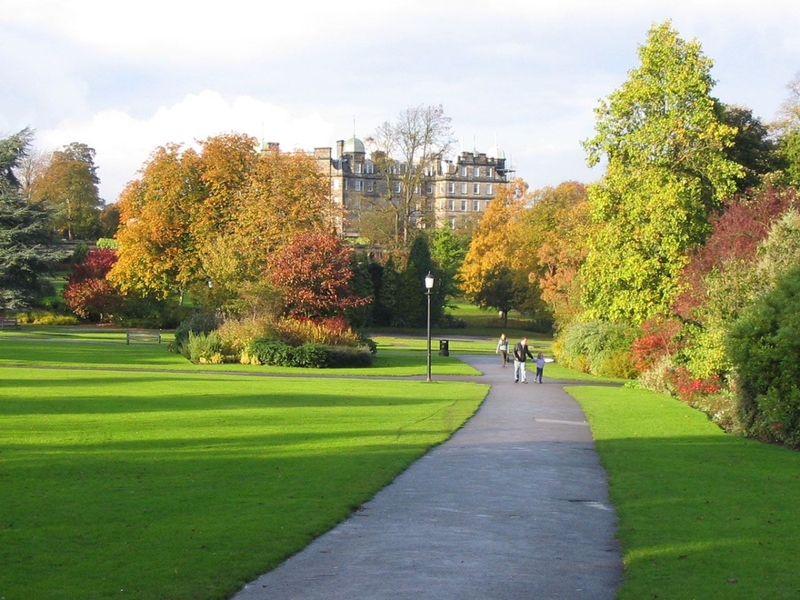 Of those places I’ve been to London, Scotland and Ireland and I loved all three! I haven’t done as much train travel (although I will do a bunch next month in Italy) but my biggest advice no matter the mode of transport is to pack light! With trains you keep your luggage with you and carry it onto the train so it’s a huge pain to lug a big bag around. Yay for Italy and Ireland! I absolutely adore Ireland and Italy has been at the top of my bucket list for a long time so I’m incredibly excited to head there next month. Unfortunately I’m not the best person to recommend a time to purchase flights. Because of my job at an airline I’m able to fly standby all the time so I very rarely book flights anymore. From what I’ve heard it’s best to book flights to Europe about 2-3 months out if you can. Sometimes there are cheap last minute deals (subscribe to flight alerts or airline newsletters to find out about those) but for the most part the fares tend to increase at the date gets closer. 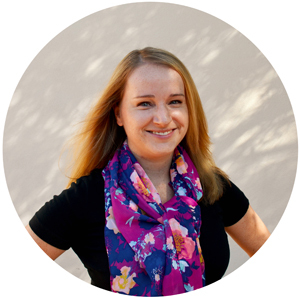 Love those tips and I have a vacation planned in Paris in two months and very helpful tips.